The long-term strength of United Methodist church ministries may lie in our ability to recolor swans from black to white. That’s a metaphor, of course, and probably an obscure one if you’ve not read Nassim Nicholas Taleb’s book “The Black Swan.” Taleb makes a powerful argument that history is driven by “black swan” events, huge game-changing occurrences that were improbable or even completely unpredictable. Think World War I or the 1987 stock market crash. 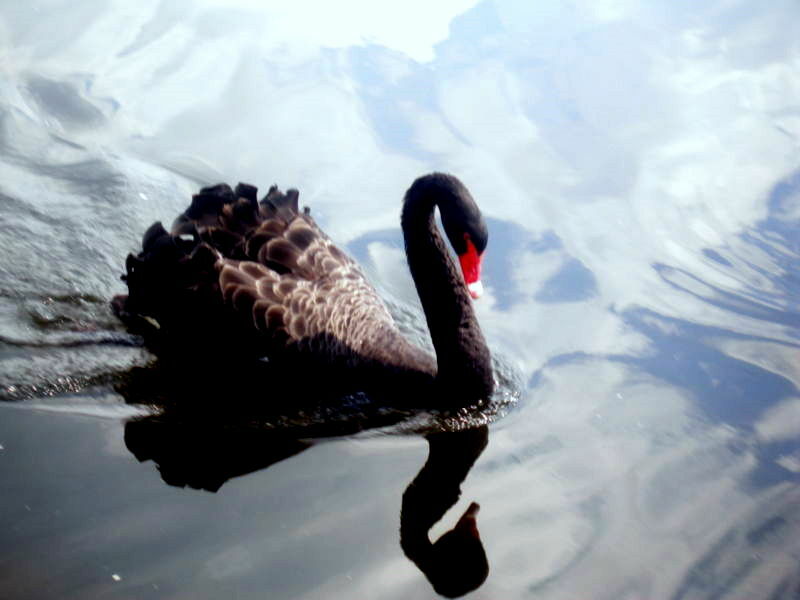 The term “black swan” comes from the fact that before the discovery of Australia, bird watchers were convinced that swans had to be white; after all, millions of white swans over thousands of years had been observed with no significant color variations. The discovery of black swans in Australia turned the ornithology world on its head. It dawned on me recently that churches often make huge leaps forward in ministry because of what amount to black swan events. These churches seem to be plodding along on a predictable path, and then overnight, something unpredictable and huge happens. For example, three years ago, Lucy Scroggie, a longtime member of Fountain City UMC in Knoxville, passed away. She was an older single woman who showed no signs of being particularly wealthy, and she had never been heavily involved in missions. But after her death, the church staff received a call from her brother informing them Scroggie had left $600,000 to Fountain City UMC, designating it be used for missions. “Nobody knew she had this kind of money, and we were just stunned,” said Melissa Smith, the associate pastor at Fountain City who oversees the mission work made possible by Scroggie’s gift. Interest on the principal investment currently generates from $20,000 to $24,000 a year, which Fountain City distributes in the form of grants to mission organizations. The church members also have been able to support their existing mission efforts in a much larger way—for example, they started a mobile health clinic to serve the homeless. Nearby St. Paul UMC had a similar experience, although the gift was structured in a more complicated way. There, a well-off 80-year-old lady took out a $600,000 life insurance policy on herself to be maintained by the church, and then gave the church enough stock to cover the $12,000 quarterly premium. While she was alive, she reaped tax benefits from her gifts of stock; when she died two years ago, the church received $600,000. The money allowed major renovations down to the footers of the building, which was threatened by a serious drainage problem. “It actually has given us back the bottom level of the church,” Pastor Don Ferguson said. The church also spent $90,000 to fulfill the gift-giver’s one specific request for stained glass windows in the sanctuary. The rest went toward a ministry-centered endowment and specific gifts to important ministries like Wesley House in Knoxville, an after-school program for at-risk children. Positive black swan moments are wonderful for a church, particularly if the church members have a clear vision and mission to guide them in how to use such sudden largess. I’m also struck by the potential for these events to become common rather than unpredictable—to turn into white swans. An individual gift might not amount to $600,000, or even $6,000. If such simple decisions became common in the Christian community, however, the positive impact on a church’s ability to minister to a hurting world would be cumulatively huge. Over several years, an entire generation could join together to leave a powerful legacy for the generations to follow. Think of such a gift as your swan song.